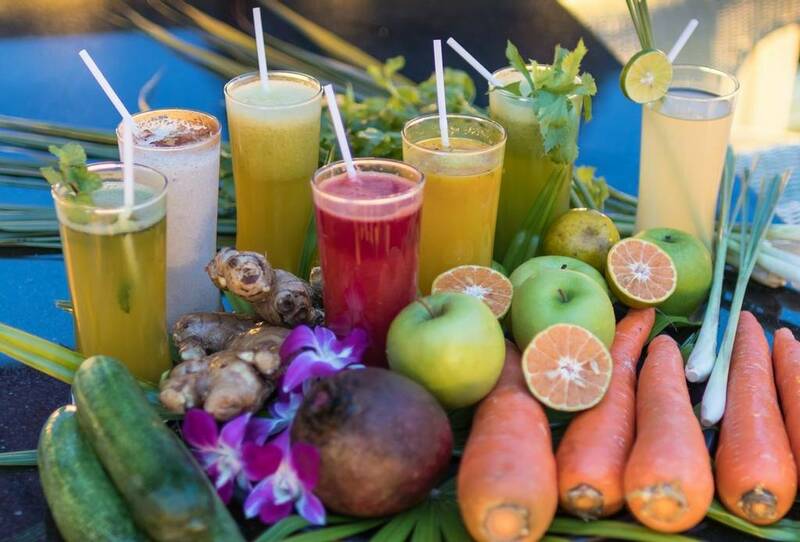 Tucked away in 25,000 square metres of lush tropical gardens and hillside, only a short drive from the vibrant old town Phuket, Mangosteen Ayurveda & Wellness Resort is a serene Thai getaway. 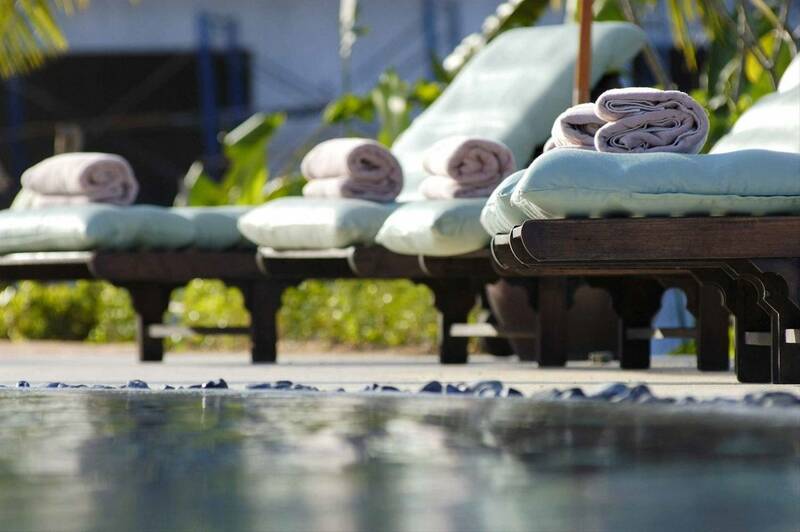 The boutique adult-only family run resort provides a real personalised touch by the owners. 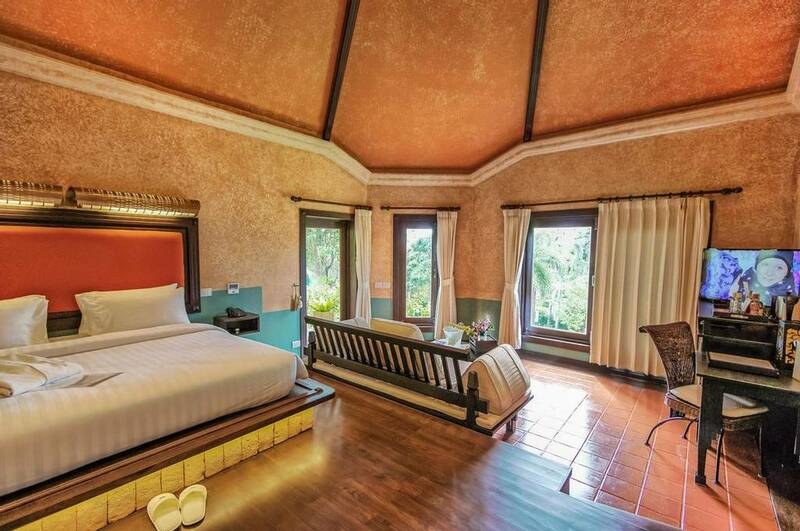 With 50 garden villas and a world-class Ayurveda spa, Mangosteen exudes luxury and relaxation, the ideal setting for a rejuvenation retreat, or romantic getaway. Therapists, Ayurveda Doctors and yoga teachers collaborate to provide you the best level of care. 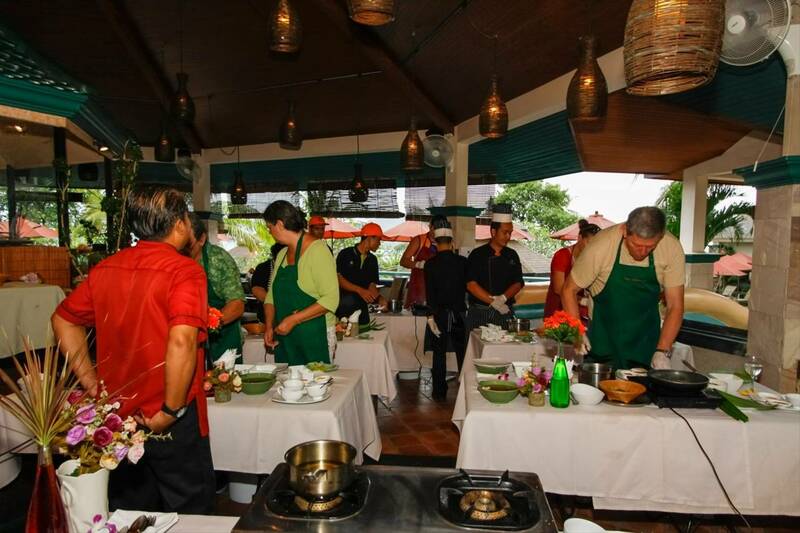 Food lovers can try their hand at Thai cooking, water babies can discover diving, and explorers can join local market tours to enhance this wellness experience and boost their vitality. 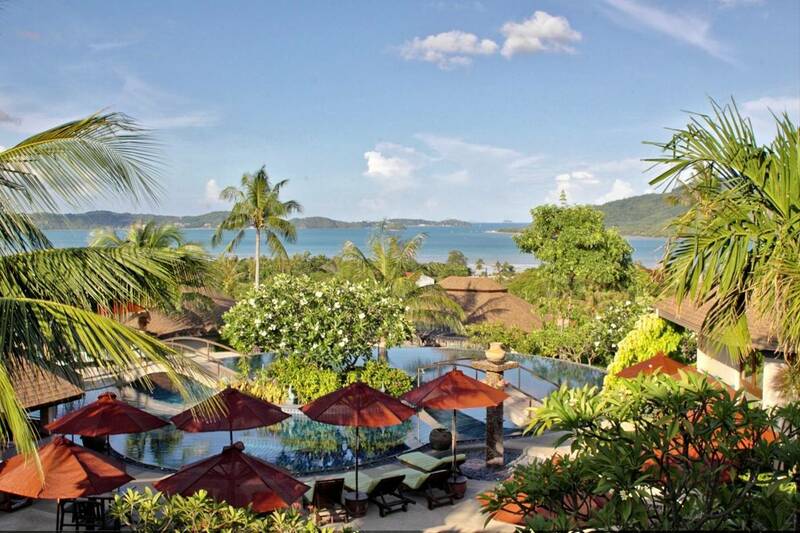 Set on the tranquil island of Phuket in more than 25,000 square meters of lush gardens, Mangosteen Ayurveda & Wellness Resort blends in with its natural surroundings and provides a calming and secluded atmosphere. The South side of the island is known to be calmer and less crowded, allowing you to explore the nature and culture like a local. 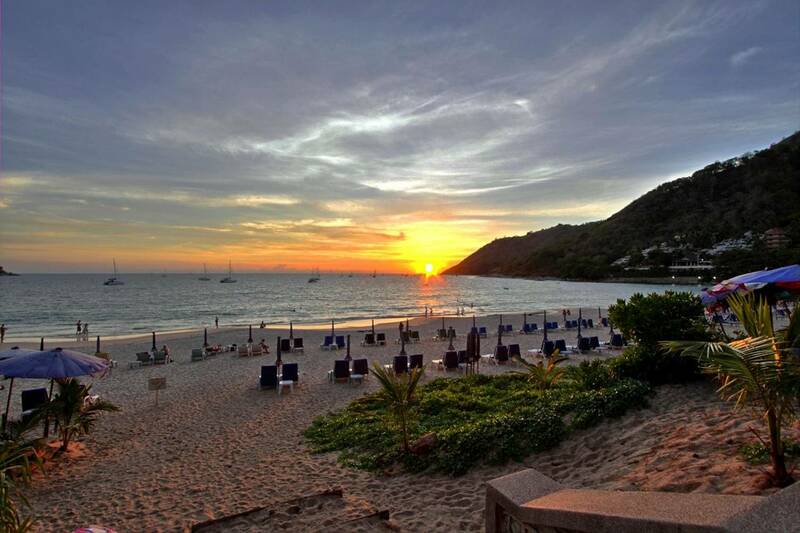 The beautiful Nai-Harn Beach in national park is just a short drive away, as are many other attractions including markets, temples, numerous restaurants and viewpoints. 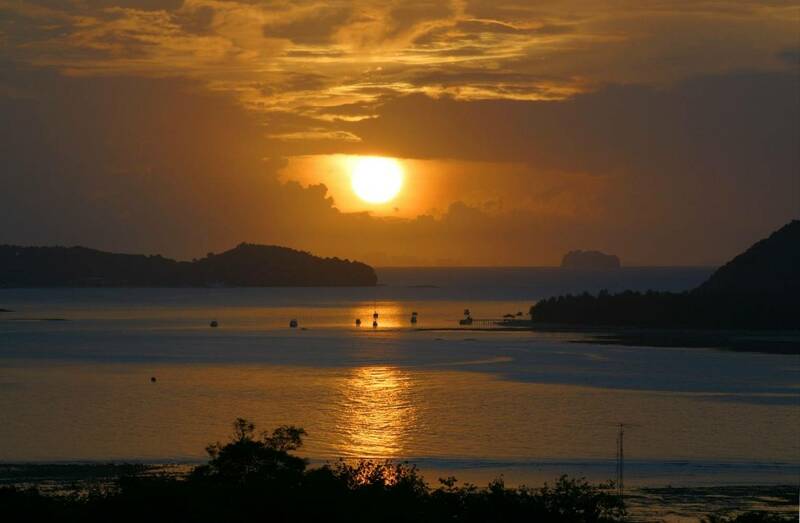 Admire breath-taking sunsets and the famous Phuket Big Buddha just a short drive away. All meals are organic and freshly prepared to provide tasty and nutritious options, so you can energise and refuel. 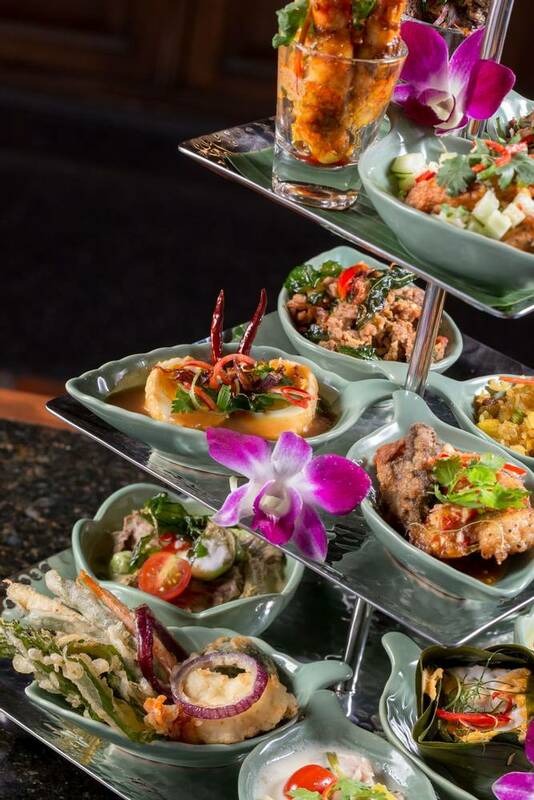 Choose between light Mediterranean and Asian dishes or enjoy a more authentic taste of Thailand with classic-home style Thai meals. Theme nights with authentic food and entertainment are regularly hosted to spice up your dinner and convey the Asian culture and traditions. 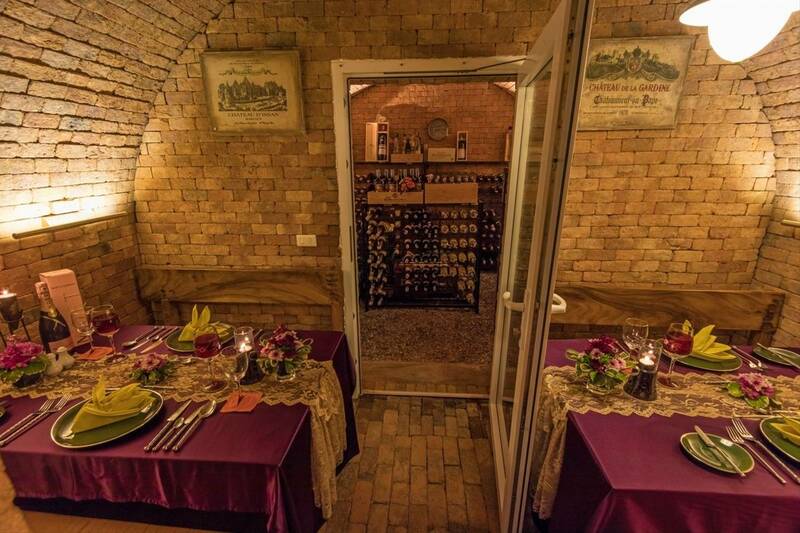 For an unforgettable evening, private dinners in the wine cellar and in-room dining can be arranged. 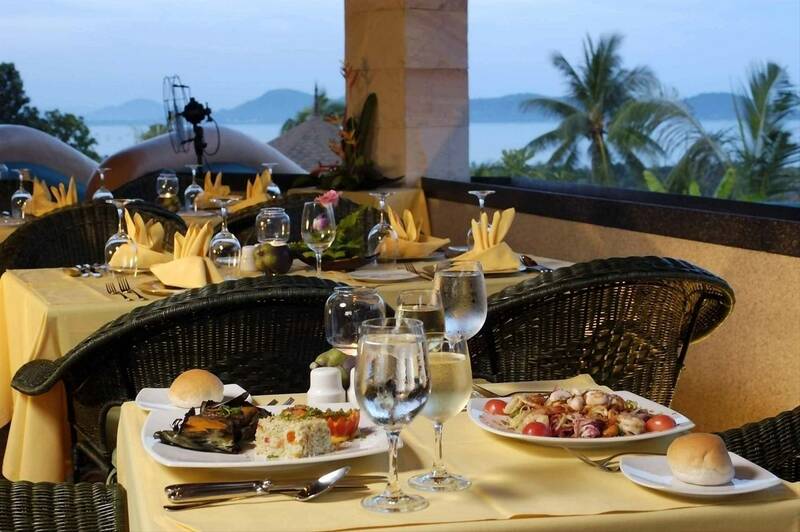 With an open show kitchen and romantic wine cellar, enjoy an immersive open-air dining experience at The Mangosteen Restaurant. 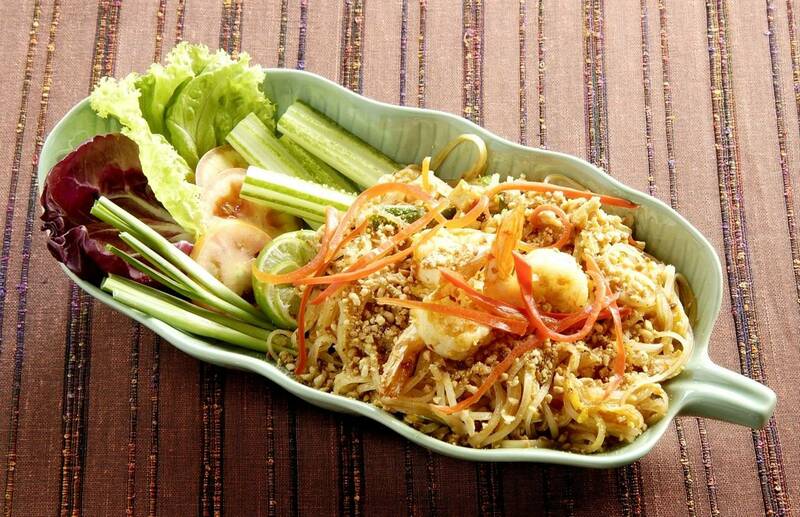 Choose from authentic Thai, Mediterranean or Asian cuisine, from the generous a la carte menu. Open daily from 7am to 11pm. A flight of stairs leads to a candle-lit, rustic wine cellar which holds a large collection of new and old-world wines. Upon request, private dinner parties for up to 8 people can be arranged. Open daily upon request. 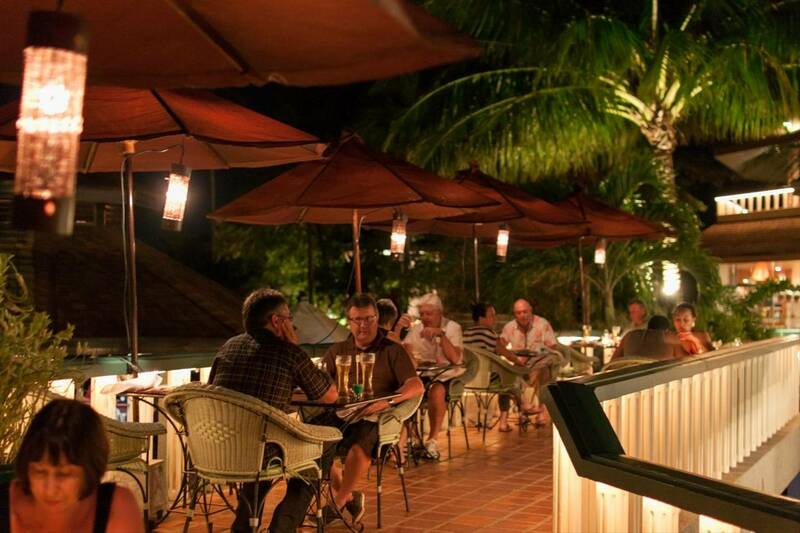 The Bar is open daily until 11pm and serves light snacks and drinks by the pool. Enjoy a pre-dinner cocktail during Happy Hour (3pm to 6:30pm). 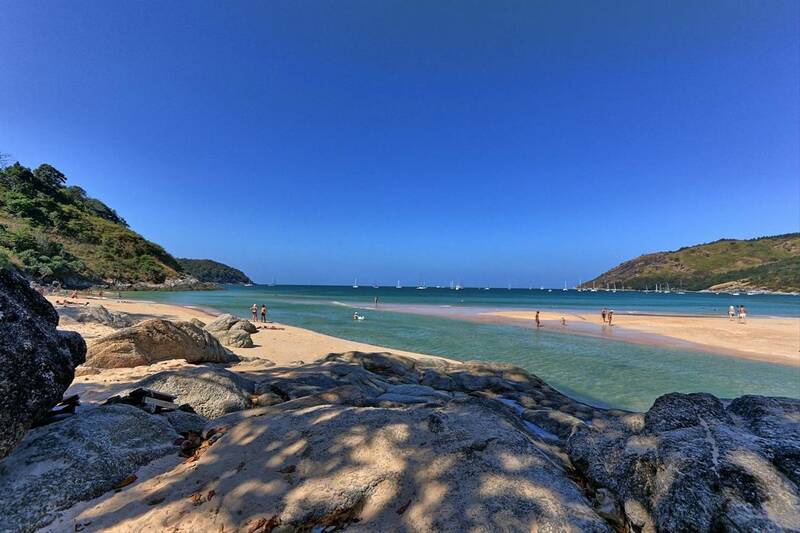 - Nai-Harn Beach which locals refer to as Phuket’s most beautiful and longest beach in the National Park. Free shuttle bus 3 times daily at 10am, 1pm and 3pm. 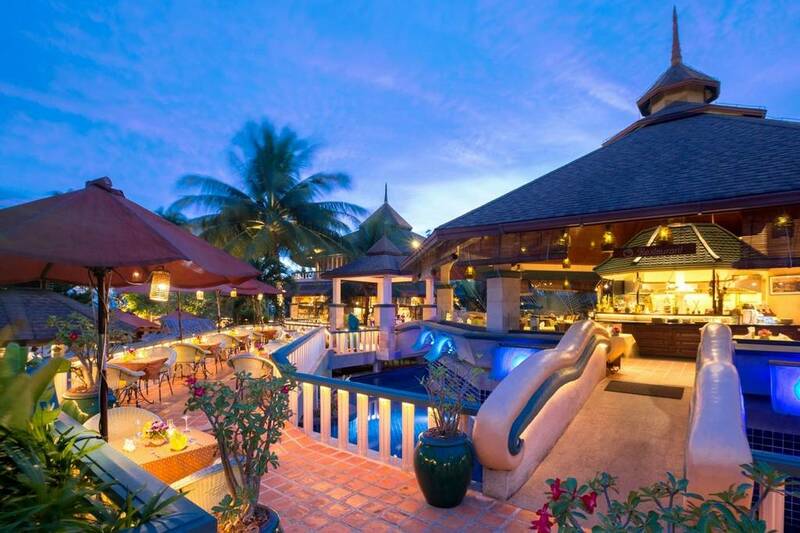 - Rawai Beach promenade offers an array of restaurants and bars as an alternative to dining in the resort. - Chalong Temple is Phuket’s most important Buddhist temple and is only a ten-minute drive away from Mangosteen. - Phuket Old Town is also worth a visit. 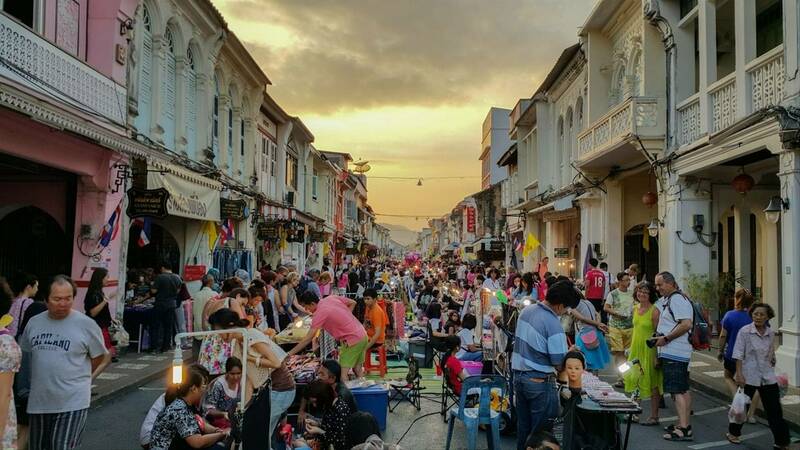 The unique historical town centre hosts a weekly market full of colourful shops, cafes and food stalls on Sunday evenings in Kabri Road, 30 minutes from Mangosteen. 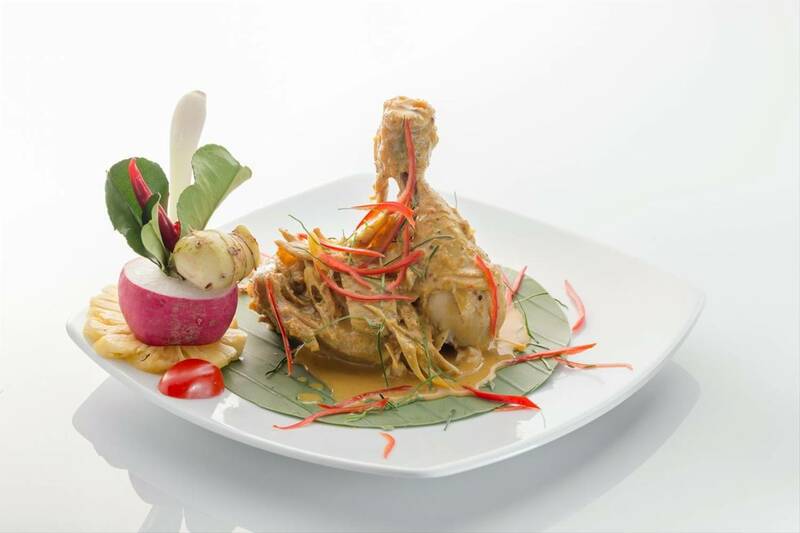 Mangosteen hosts weekly themed nights in The Mangosteen Restaurant with authentic Asian food, music and activities. Tap water in Thailand is not recommended to drink, therefore two bottles of water per day are provided in your room. In order to preserve its tranquillity and calmness, the resort does not cater for families and children under 12 years old. 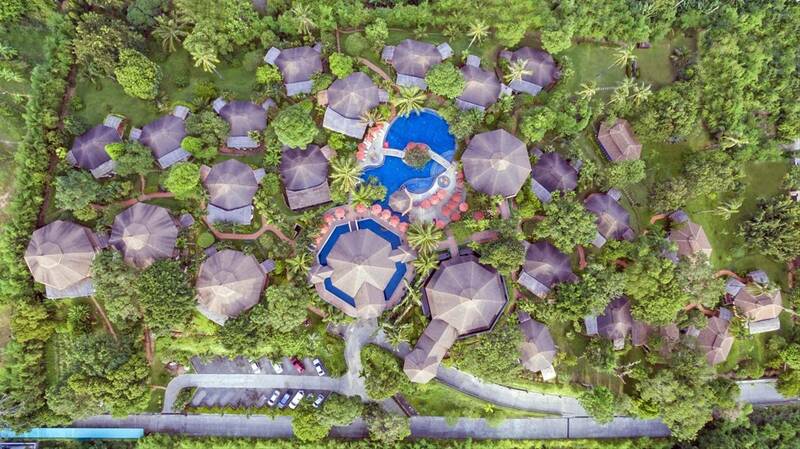 There is one family suite and three-room types with extra beds available. Villas near the pool are suited for people with physical disabilities because they lack stairs. Mobile phones are not allowed in the spa and restaurant, or during activities and classes. Minimum age for guests to stay is 12+ years. Minimum age to attend the spa, group classes and private tuition is 12+ years. Alcoholic beverages are available in several places around the resort, such as the Pool Bar and wine cellar and include beer, wine and cocktails. 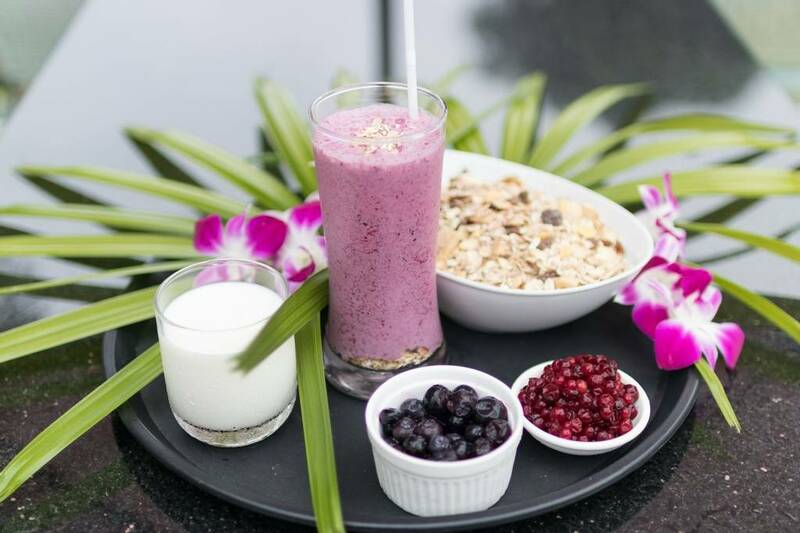 There is no alcohol included in the wellness packages and the drinks in the mini-bar will be replaced with non-alcoholic alternatives. 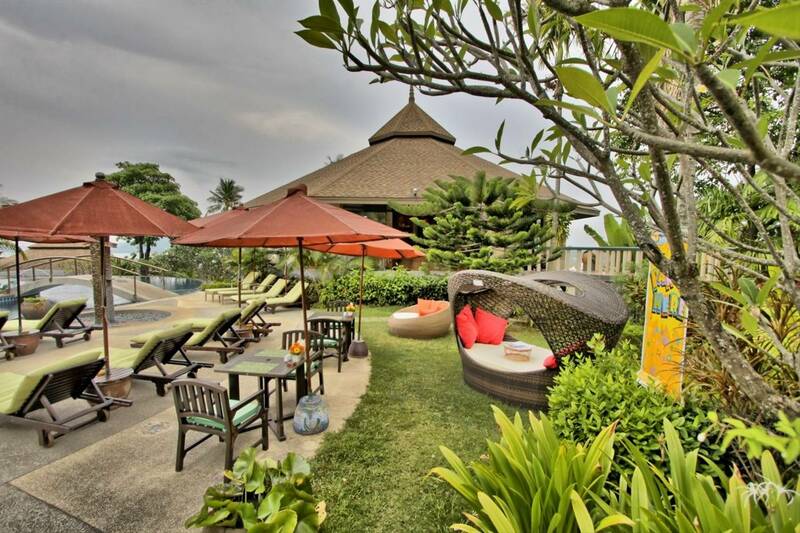 The 50 garden villas at Mangosteen Ayurveda & Wellness Resort each have gardens or balconies with scenic views across Chalong Bay. 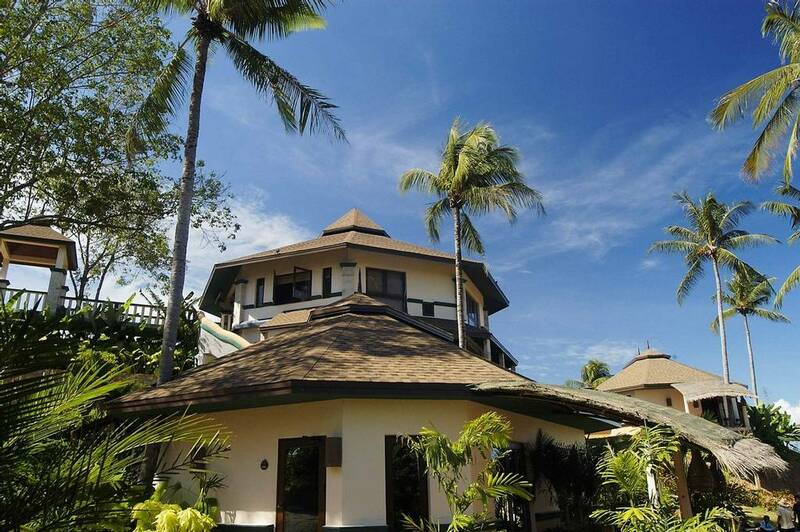 The villas feature a ‘naturally cool’ ventilation scheme designed to keep you well aired throughout your stay. The stylish and functional “John Underwood” furniture uses natural colours and authentic designs, exudes the personalised and tropical ‘Mangosteen theme’ throughout. 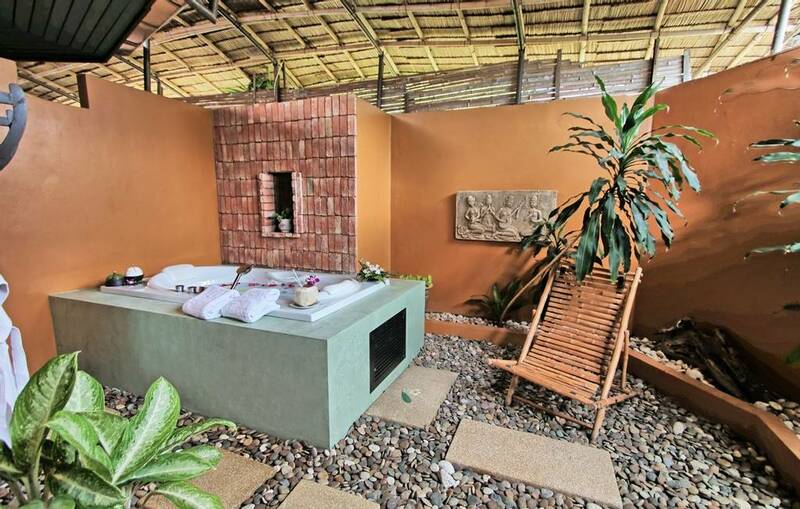 Feel comfortable in the privacy and calmness of your unique villa made of natural materials. 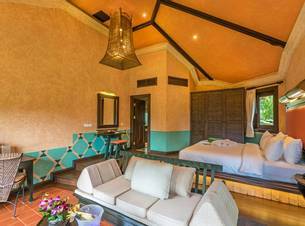 The 11 spacious garden villas accommodate two people, and feature a seating area, al-fresco bathrooms including an outdoor rain- and hand shower. The private terrace features comfortable armchairs and a coffee table. 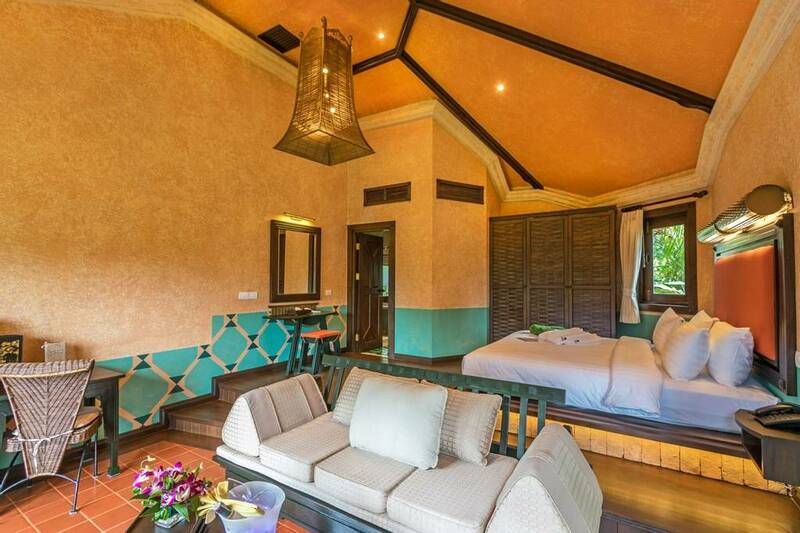 These secluded villas take comfort and luxury one step further with spacious living and sleeping areas. 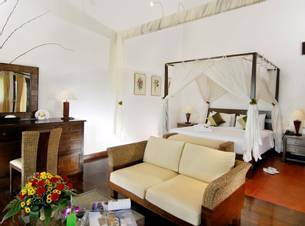 The jacuzzi, make-up table and walk-in closet make the villa a perfect place to get ready and dress up for a sophisticated dinner or just to pamper and relax. For luxury during your stay, treat yourself to a deluxe villa boasting a private garden with your very own outside jacuzzi. 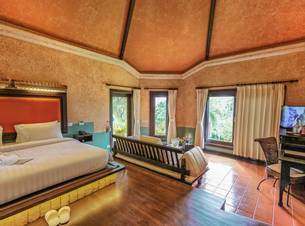 The largest room type available, the royal garden jacuzzi villa easily accommodates two people, with the options of an extra bed for a third person. 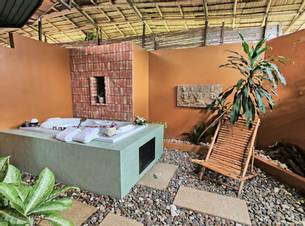 Experience luxury both inside in the form of a rain shower, and outside in the form of a jacuzzi in the private garden. 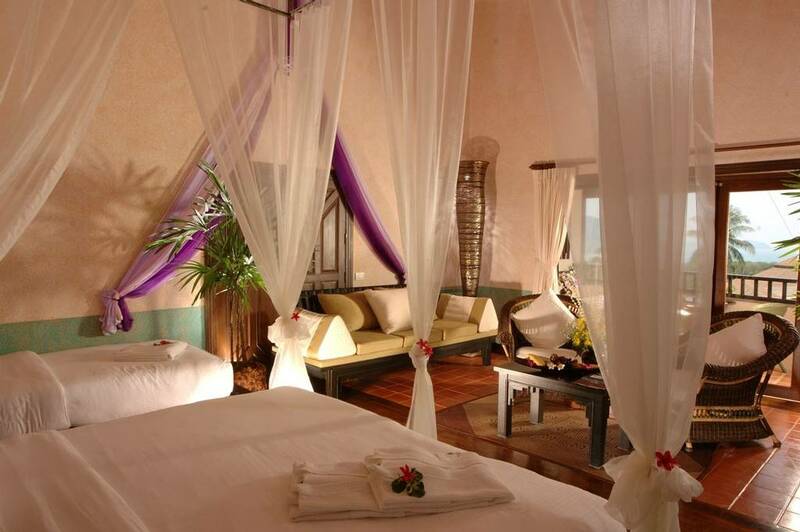 These hillside second-floor rooms boast magnificent views over the sea and a bubble bath on your private balcony. 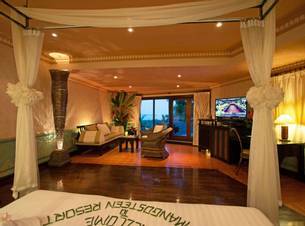 Dimmed lighting and high ceilings provide a romantic atmosphere, ideal for honeymooners and couples. This two-story unit can easily fit two adults and two children and features two bedrooms, two living areas and a kitchen that facilitates cooking and cosy dinners. 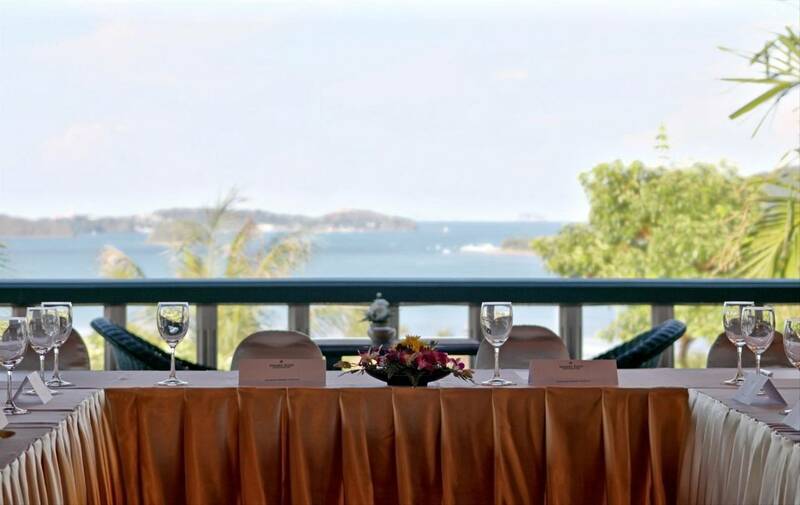 The private terrace and balcony allow precious moments winding down in the nature and enjoy stunning views. 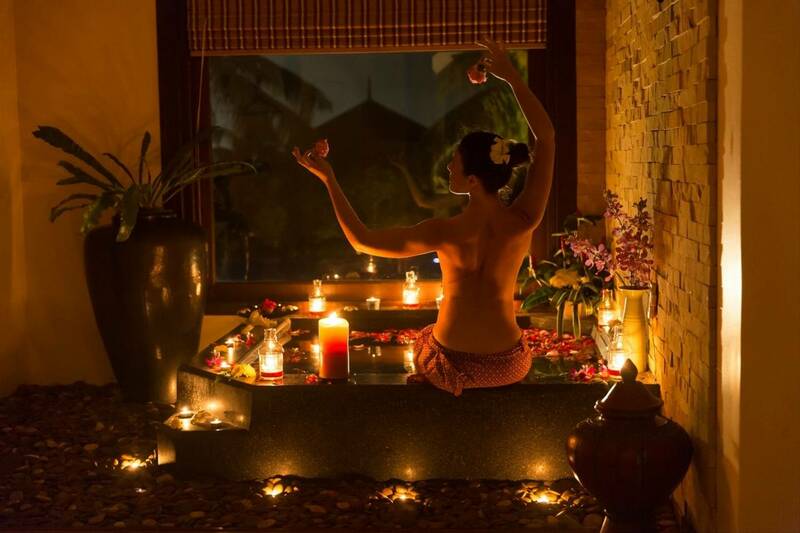 The world-class Ayurveda Spa forms the heart of Mangosteen, featuring over 50 holistic spa treatments to choose from. 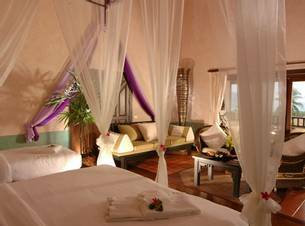 With 4 private treatment rooms, a Hammam, sauna and steam room facilities, it provides a tranquil atmosphere for you to unwind. Experience a consultation with the resident Ayurveda Doctor and treatments which use natural ingredients following the ancient principles of Ayurveda, for a reviving spa experience to recharge and nourish your body, mind and soul. Open daily from 9am to 7pm. 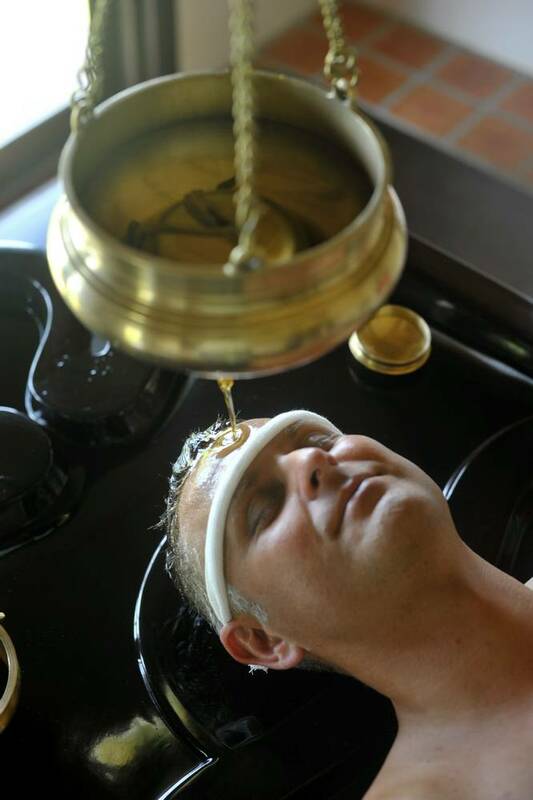 Mangosteen Ayurveda & Wellness Resort focuses on harmonising the body, mind and spirit to enhance inner peace and vitality through traditional Ayurveda therapies and treatments. Whether you wind down with a soothing Dosha purifying treatment, channel your energies through Chakra balancing or choose to balance your mind with yoga and meditation. Spending time in the wellness centre and Prana Sala will allow you to recharge your batteries and increase mindfulness and relaxation. Mangosteen really exceeded my expectations! It’s such a great price for everything you get there, it truly was amazing. 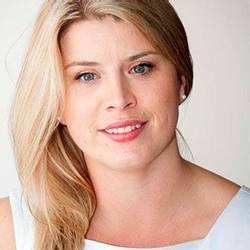 They were very flexible and accommodating with appointment times and treatment options. My goals were relaxation, healthy eating and 'switching off' which was very easy at the resort. I love the fact that it’s an adult only hotel, it really contributed to the peace and relaxation. I was a bit skeptical about the variety of a vegan wellness menu but the food was truly incredible with a wide range of different dishes. The staff was also one of my favorite aspects of the trip as they were truly amazing, friendly and very efficient. I was by myself there were several social activities to encourage engagement with other guests. My recommendation is to upgrade to a better room type as the views are worth the small extra charge. Also, don't be afraid of the vegan menu as the food is truly delicious and varied. 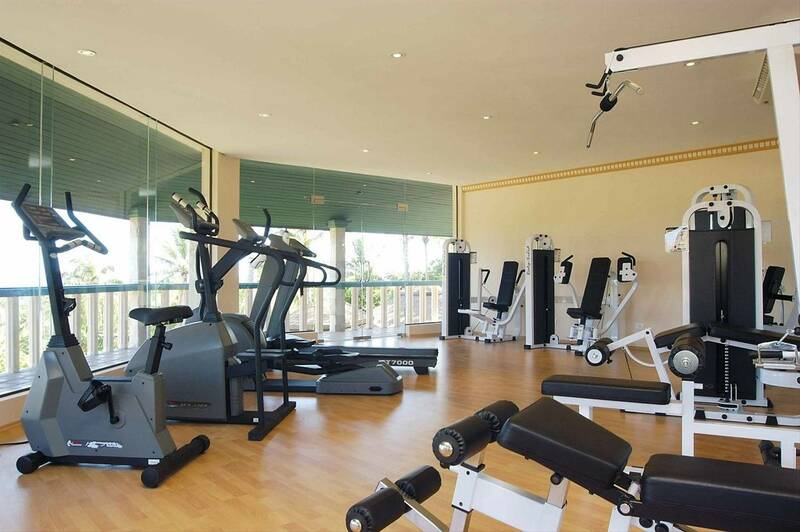 Health and Fitness Travel provided me with impartial advice on a great range of options and helped me to make the best decision, so I’m very grateful. 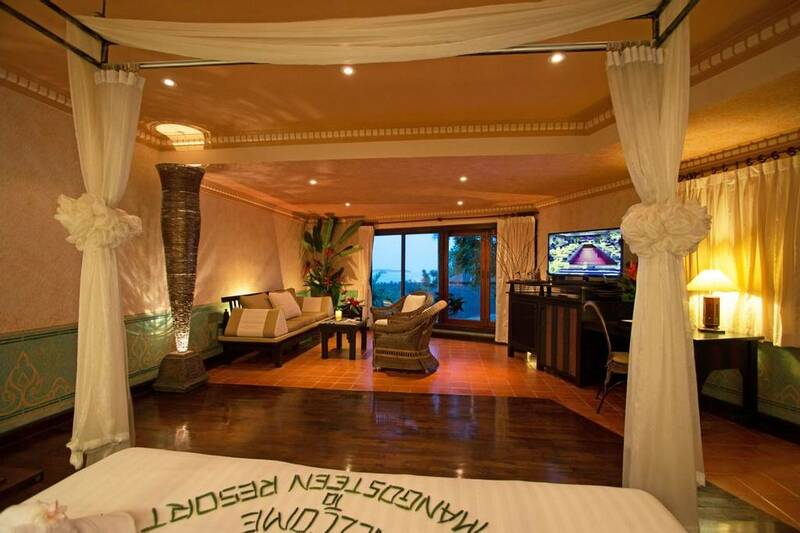 Mangosteen is beautiful and it has all the facilities you require for a relaxing holiday. The hotel in general and the rooms are in great clean condition (maintenance and housekeeping staff are great!). 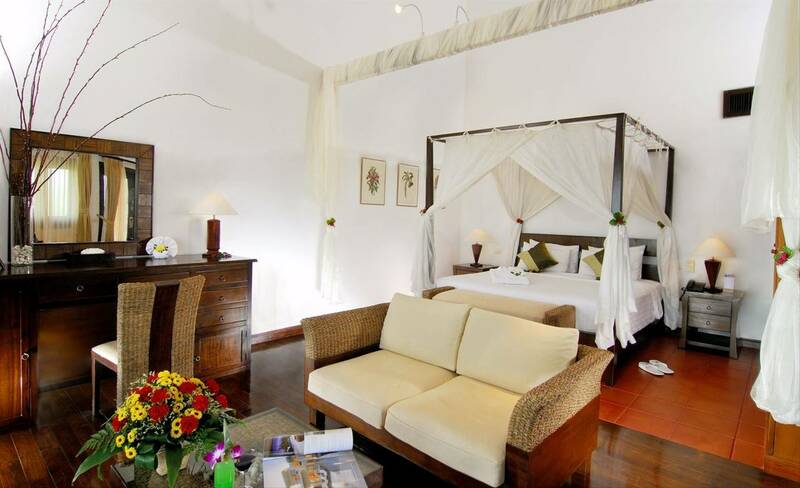 The rooms are spacious, well-furnished, comfortable, very clean and great facilities provided (eg. cupboards, powerpoints, minibar, etc). 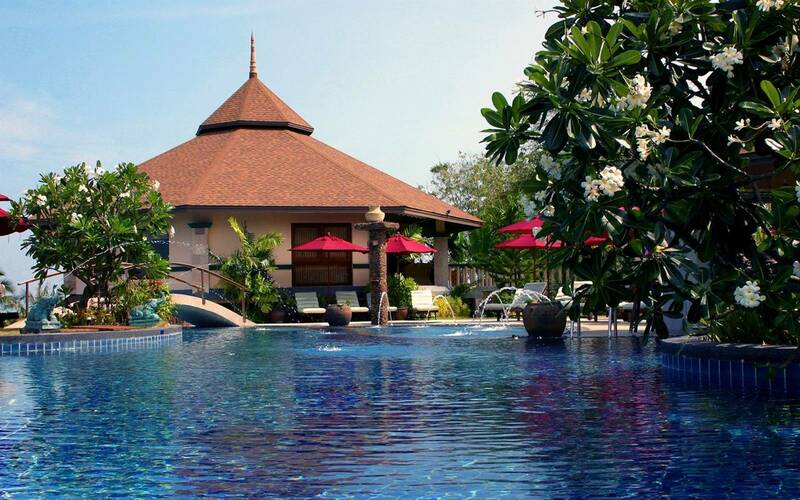 The spa pool is large with many shaded areas for use during the day. 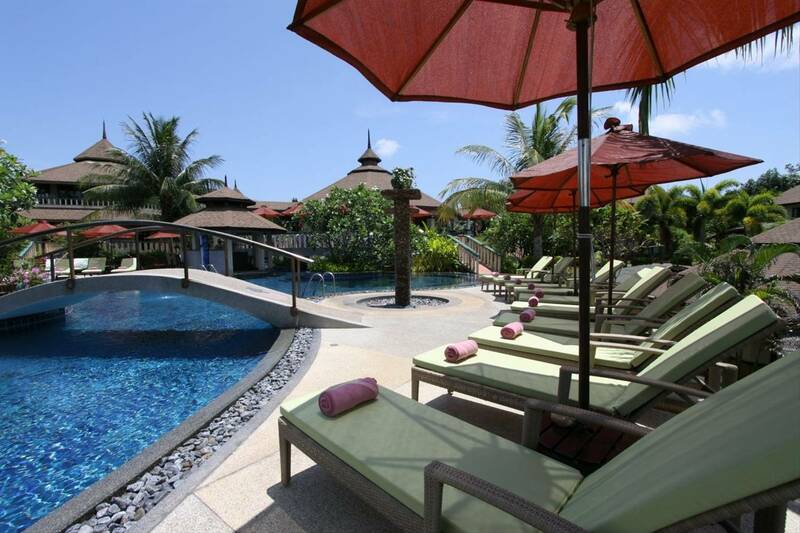 Whilst not a 'lap pool', it's in a figure 8 shape and has plenty of room for people to swim laps or just relax. 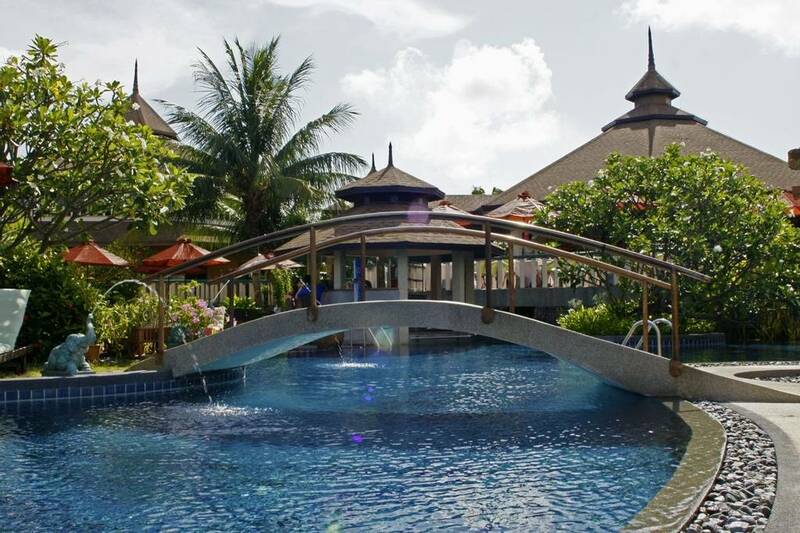 The 'swim up' poolside bar is particularly convenient during happy hour. Members of staff are incredibly friendly, professional, efficient and attentive. Housekeeping, restaurant and spa staff members were stand-outs for me. My Spa programme was administered very well. They were flexible with appointment timing (to work around other daily plans) and with treatment options under the wellness programme. 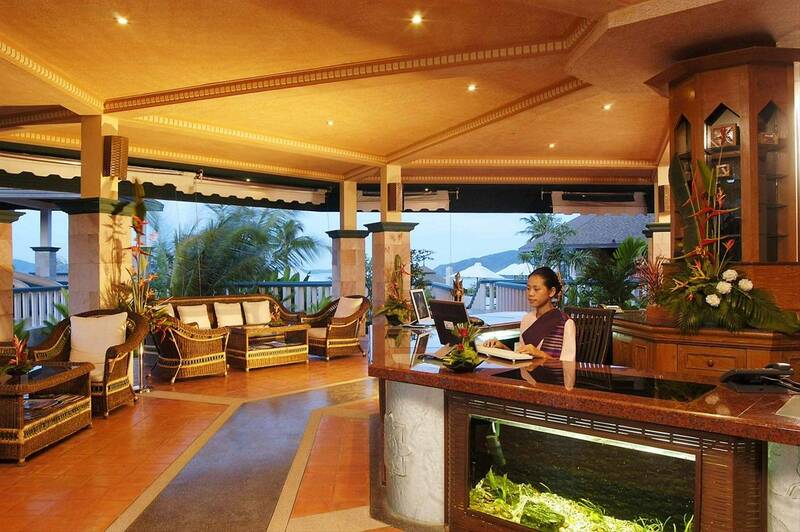 Quality of spa treatments and products used are excellent. The daily yoga sessions are also great with a different yoga type each day and outstanding instructors. They start at 8am daily and spaces are limited, so best to be on time! 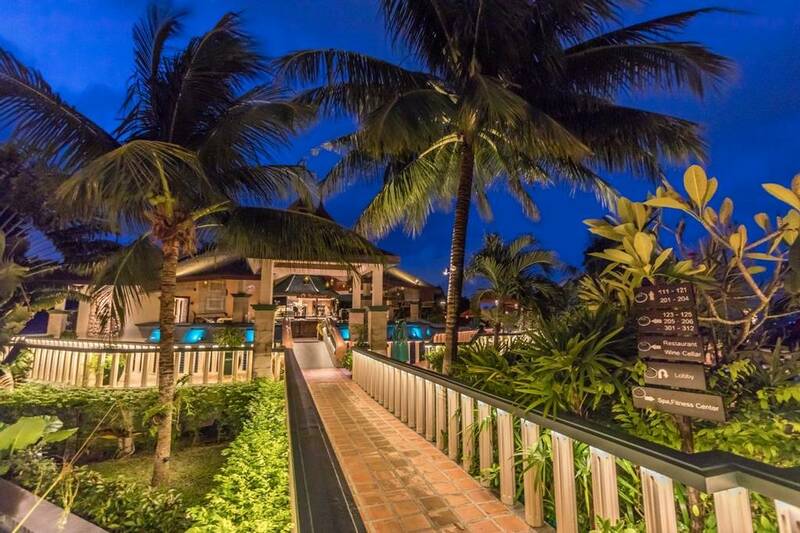 With regards to location, Mangosteen is situated in a less touristy area of Phuket (Rawai district) which is great, in my opinion. The population in the area is very diverse with some tourists and many locals. Restaurants, small supermarkets, clothing shops, bars and pubs, art stores, beaches, fish markets and other amenities are all close by. I recommend hiring a scooter or a car to get around the local area easily – it’s safe and the roads aren't too busy. The resort offers a free shuttle service to the local beach which is ideal for a swim and time to relax. The vegan menu under our wellness program was excellent, with varied dishes each day and night. Breakfast was an open buffet with the option of hot food such as eggs and bacon. Lunch and dinner were set dishes each day, but we could order additional items from their normal restaurant menu at a small cost. We found the meals to be fresh, delicious and unique, plus we received a 'cleaning juice' and free water at meal times so there was no need to purchase additional drinks. We loved the weekly Asian buffet menu, with a discounted price for Wellness Package guests, which replaced our normal evening meal with their special event buffet for that night. 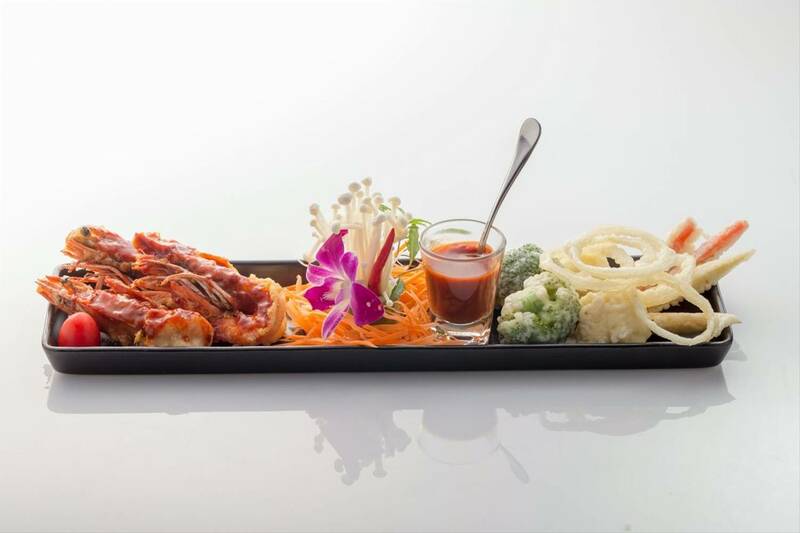 It was simply delicious, with 5 different cuisines available and a wide range of outstanding dishes. Another nice touch was the 'meet and greet' with the owners on Monday evening: a great opportunity to hear a brief history of the resort and their background. We often ran into the owners whilst relaxing around the resort so it was great to officially meet them - they made us feel very welcomed. The daily 'happy hour' between 3pm and 6:30pm where you buy 2-for-1 drinks (alcoholic and non-alcoholic) was a nice thing to have - an excellent way to meet the other guests, particularly as most of the other activities are designed so that you can relax by yoursef at the resort without too much 'forced interaction' with others. We met many lovely people in a comfortable social atmosphere. The drink prices are reasonable in general but great value during happy hour. We are looking forward to return sometime soon!